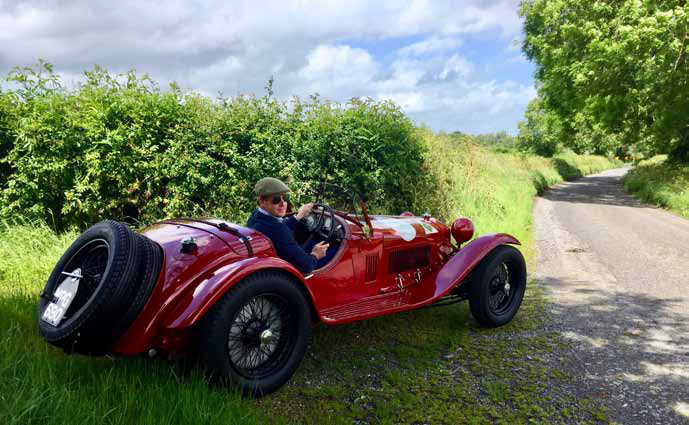 ‘I prefer to sell cars that have an interesting history,’ says Robert Glover, who specialises in the sale of mostly pre-war historic sports, competition and touring motor cars. Formerly of Bonham’s, he set up on his own in 2013. While the modern classics often languish in storage, pre-war cars tend to bedriven, says Glover: so while there is an eye to investment, they tend to be purchased by a savvier,older-money crowd who will keep the cars for a long time. He says an increasing amount of business — ‘the multi-million pound stuff’ —is taking place privately. Few are better connected or informed than Alfa Romeo fanatic Glover, who has been attending motoring events in his family’s vintage cars practically from birth.